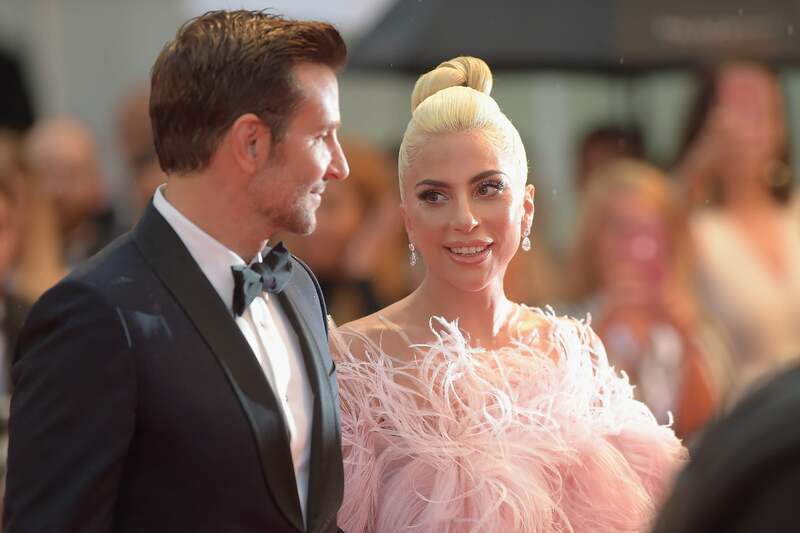 “To me, it was a sign from God,” laughs Lady Gaga, referring to the now infamous lightning strike at the Sala Grande Theater, which caused a 20-minute projection outage during the world premiere of Bradley Cooper’s A Star Is Born here at the 75th Venice Film Festival. “The elements were with us and it was a beautiful moment. 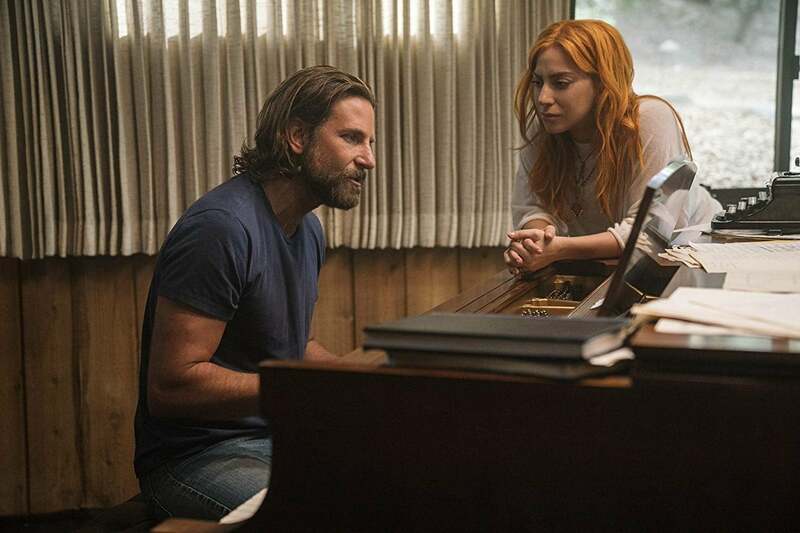 Everybody was so kind and you could tell they were entrenched in the film and they couldn’t wait to see more,” rationalizes the 32-year-old music superstar, born Stefani Joanne Angelina Germanotta, who is making her motion picture acting debut. The previous versions starred some of the arguably most talented women of their time; from Janet Gaynor (1937) to Judy Garland (1954) to Barbra Streisand (1976). Those considerable shoes are now filed by Lady Gaga. Cooper even does a nice tip of the hat to Garland as he allows his leading lady to sing a few bars of ‘Over the Rainbow’ during an early sequence of his film. Though intermittent heavy rains were falling all during the last day of August in the ‘City of Bridges’, the clouds eased up in their deluge just enough to allow the two stars, ironically both descendants of Italian immigrants, to get their well-deserved moment on the red carpet. The HFPA sat down with Cooper to talk about his co-star, his directing mentors and taking the stage at Coachella. Do you recall your first interaction with Lady Gaga? I was at a cancer fundraiser and we came to the end of it and all of a sudden Lady Gaga came up and she performed a cover of “La Vie en Rose” and I was absolutely floored. The next day I asked her agent if I could go meet with her, because I didn’t even know what she looked like. Really, I had no idea who Lady Gaga was. I one time passed her on the “Saturday Night Live” set and I still didn’t know what she looked like. Not only do you star in the film, but you are making your directorial debut. As you have worked with so many talented directors prior, who influenced you? I’ve such wonderful relationships with David O. Russell and Clint Eastwood and Todd Phillips, directors that have really allowed me to be a part of the collaborative process, especially David who allowed me to be part of the editing process and be able to executive produce with him. Then there is Clint obviously with American Sniper. So I knew that … I was 41 and I thought, I’ve got to do it because time is everything right now. You actually filmed during the Coachella Music Festival. What was that like playing in front of all those people? Coachella was wonderful. We made a great deal with them because we had access to the whole grounds, the two weekends in between, so we had five days to shoot. But really, the stages that we jumped on that were live stages was Stagecoach. And the opening of the movie, we shot that in eight minutes. It was in between Jamie Johnson and Willie Nelson. He gave us eight minutes of his set. So, we ran out there and I said, hey I’m Bradley Cooper, we’re doing a movie, thank you and here we go.